Life is fast and furious in the fall. It’s as if the world begins anew with the beginning of school and the Jewish New Year. The sluggish days of the brutal Texas heat wave are finally over, and we are breathing free in cooler air. The High Holy Days are arriving faithfully in cycle, as well as the missions conference, and three annual fund-raising banquets for our outreaches. There is way too much to do but joy in the labor! And most importantly, fall always brings guests from the nations. The best part. This year dear friends will come from Cyprus and then Ethiopia! My daughter and I will host a few extra get togethers and a baby shower! We are thrilled and have been turning the guest bedroom into a comfortable, warm corner for weary travelers. I have the urge to write though, in a serious, poetical way. I thinking something is bubbling below the surface… I’ll keep you posted. But back on the ranch: A fall wreath graces the door. 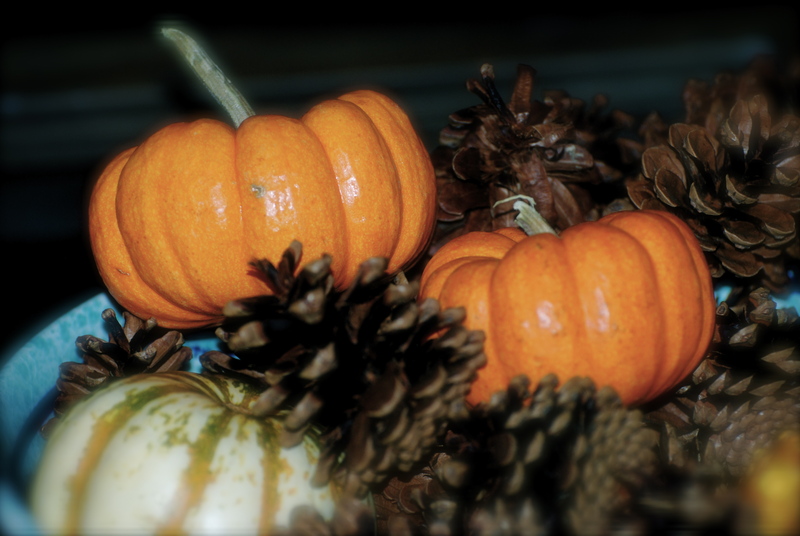 Pine cones and pumpkins have appeared on the table, so fall is officially in swing. It is delightful to have all the noses around the dinner table with a few extras, and of course, all the paws under. Happy autumn days! Bring it!